To a casual observer, comic books are all capes and sidekicks, or do-gooders righting wrongs. And while those types of stories are certainly in the mix (and quite popular with many) there are other kinds of stories that don’t always make it to the spotlight. We here at Geeky Gentleman believe that THAT’S a wrong worth righting. So we’ve started “Losing the Cape” a recurring series where we’ll introduce (or reintroduce, as the case may be) you to some stories that you may have missed. 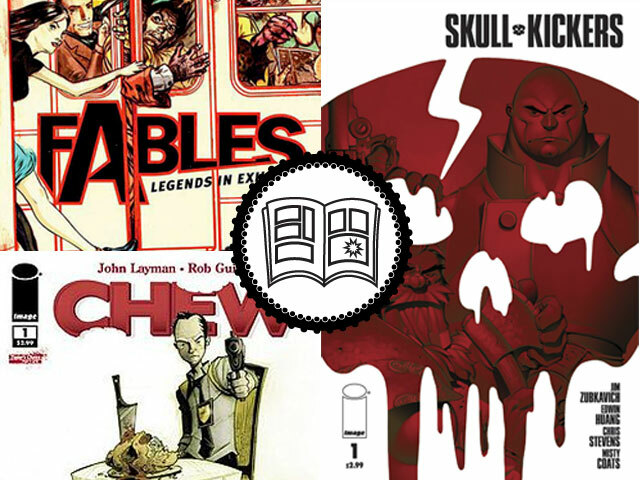 For this first installment we’ve got three quality Fables for you to Chew on that are real Skullkickers.